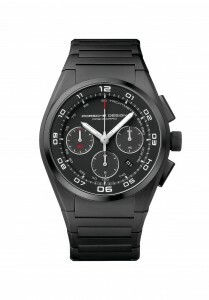 Buy Porsche Design watch – P’6620 Dashboard – online! There are many elements that go into making a Porsche a Porsche, and one of them is the minimalist dashboard. Ten years ago, Porsche Design, the company’s Austrian product design division, took its cues from a Porsche 911‘s instrument cluster and designed a wristwatch after it. And now they’ve updated the design with a new model. The Porsche Design watch P’6620 is made of titanium with available black PVD coating in a nod to the original black watch that FA Porsche pioneered in 1972. Inside the oversize 44-milimeter case and behind the anti-glare, scratch-resistant sapphire crystal sits an ETA Valjoux 7753 chronograph function with power reserve that can keep it going for two days straight without moving from your night table. The overall package is about as slick as they come, and sells for about six grand. Check it out in the press release after the jump and the gallery of high-resolution images. Stuttgart/Grenchen. A new era has dawned for Porsche Design’s classic Dashboard chronograph series. Ten years after creating the watch inspired from the dashboard gauges of sports cars, the luxury brand has released the next-generation Porsche Design P’6620 Dashboard. The shape and dial are correspondingly functional. 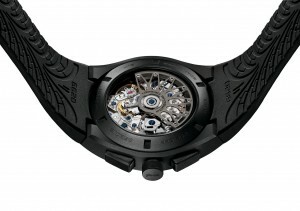 The dial has grown to 44 millimetres, the case is made entirely of titanium. The new look of the Porsche Design P’6620 Dashboard evokes dynamism and clarity. Like all the products in the luxury brand’s portfolio, this one too was shaped into a precision instrument by the world-famous Porsche Design Studio in Zell am See (Austria). With a diameter of 44 millimetres and a height of 14.5 millimetres, this is a watch that makes itself known on the wrist. The purist dial, the Arabic numerals and the straightforward hands filled with luminescent material combine to turn the chronograph into a clear and unmistakable statement. The two elongated push buttons next to the crown control the start/stop function. The sapphire crystal is non-reflective and the case is water-resistant to a depth of 100 meters (10 atm). The stop function not only captures increments of time, but can also be used in combination with the tachymeter scale to calculate average speeds of between 60 and 330 km/h. The stop watch movement has to be started and stopped after a kilometre. The large second hand with a coloured tip will then show the speed. The hand and the date disc are driven by a reliable automatic ETA Valjoux 7753 movement at a balance frequency of 28,800 vibrations per minute. The optimised rotor in the shape of a sports car’s wheel rim ensures that the user’s arm movements keep winding up the spring barrel. 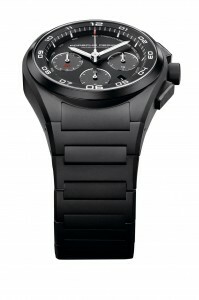 When not worn, the watch has a power reserve of 48 hours. The case and bracelet of the new P’6620 Dashboard are made entirely of lightweight, non-allergenic titanium. 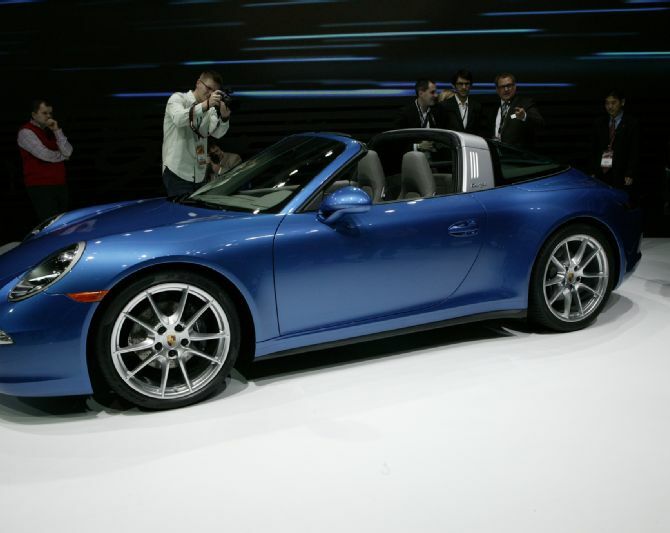 The material was known in aerospace industry, and Professor Ferdinand Alexander Porsche, designer and founder of the luxury brand, became the first to use it in watchmaking in 1980. He recognized its benefits: titanium is harder than steel, but only half the weight, does not rust and is anti-magnetic. The new chronograph is also available in a deep black colour produced by shot-blasting titanium and covering it with a layer of black PVD. 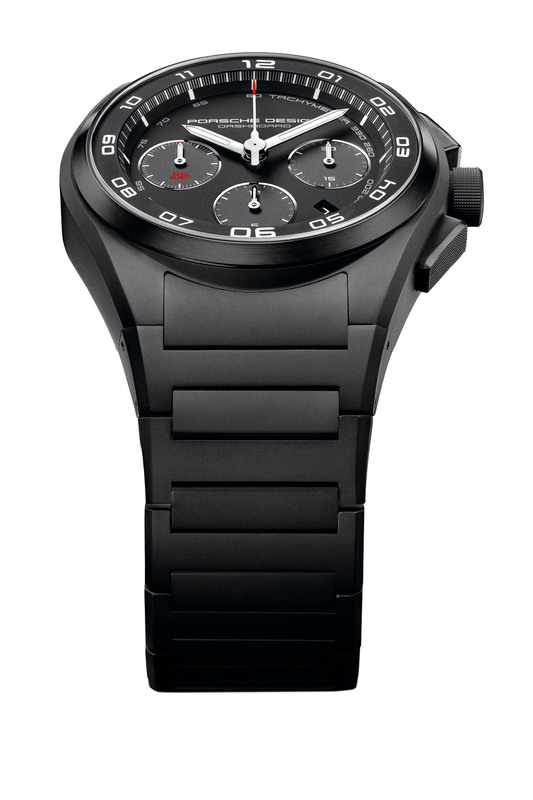 In fact, the black watches trend was also a Porsche Design idea. Professor Ferdinand Alexander Porsche already came up with the world’s first-ever all-black watch in 1972. The new generation of Dashboard chronographs is available in twelve variations. The P’6620 Dashboard includes models with a white dial, a gold case, or with calf leather or caoutchouc straps. The two entry-level models of the Porsche Design P’6620 Dashboard with a titanium or black links bracelet are available at retailers for CHF 4.950 (€3,950).